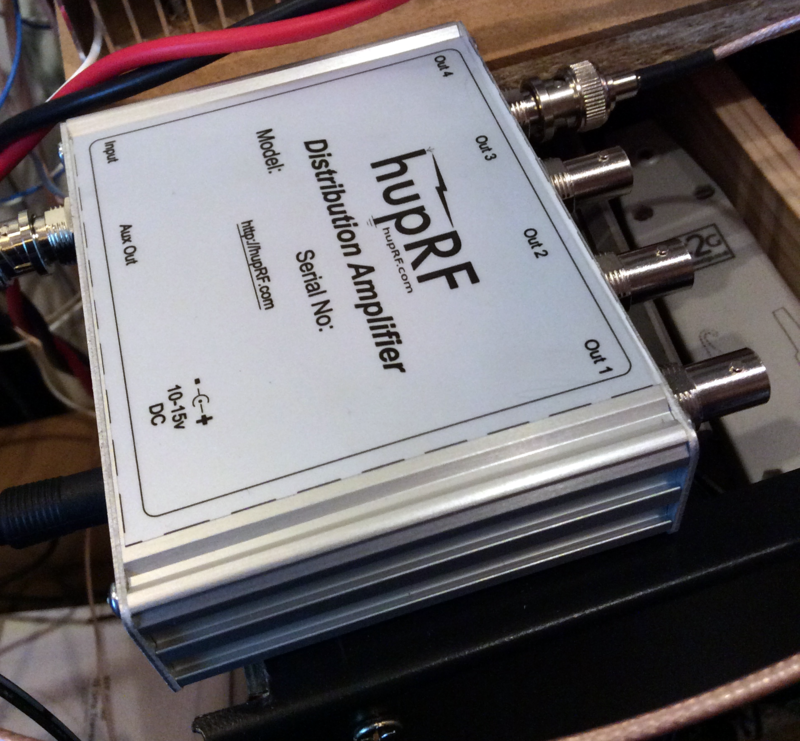 I needed a few more 10MHz GPSDO connections, so I bought one of Dave’s excellent DA4-HL kits and made it up last night. I had to add in a 4dB pad to get the levels right, but I left in the LPF for this one. Originally I was going to use it to distribute a locked 100MHz ref, but now I am going to a multiple-output DDS for the SHF LOs instead.